Upon completion of eight required courses, earners will have demonstrated foundational knowledge of human resource management and principles and will be prepared to provide value to an organization. They will be knowledgeable about the latest programs, techniques and incentives available to Human Resource professionals and have the ability to immediately implement this knowledge in the workplace. Complete course "Conflict Resolution in the Workplace"
Complete Course "Policies and Procedures for Human Resources"
Complete course "Employee Recruitment and Selection"
Complete course "Essentials of Human Resource Management"
Complete course "Managing Performance Collaboratively"
Complete Course "Organizational Training and Development"
Certificate curriculum is aligned with standards and body of knowledge for professional SHRM credentials. 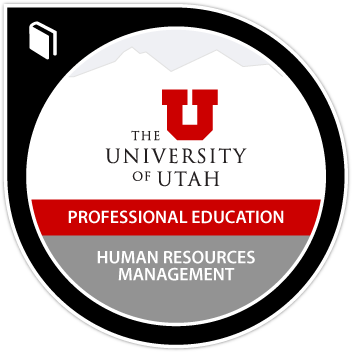 Students earning both this certificate and the Advanced Human Resources Certificate are are prepared to pursue the SPHR or SHRM-SCP professional credentials.